The purpose of 'Suicide Kawaii' was to reflect a fictional personality through a collection of objects. 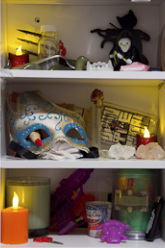 The objects collected resemble offerings to a dark shrine, like the LED candles and chunks of quartz crystals. Other objects could also be utilized as tools of self-mutilation, like a modified disposable razor and utility blades. The objects are mysterious and yet innocent. 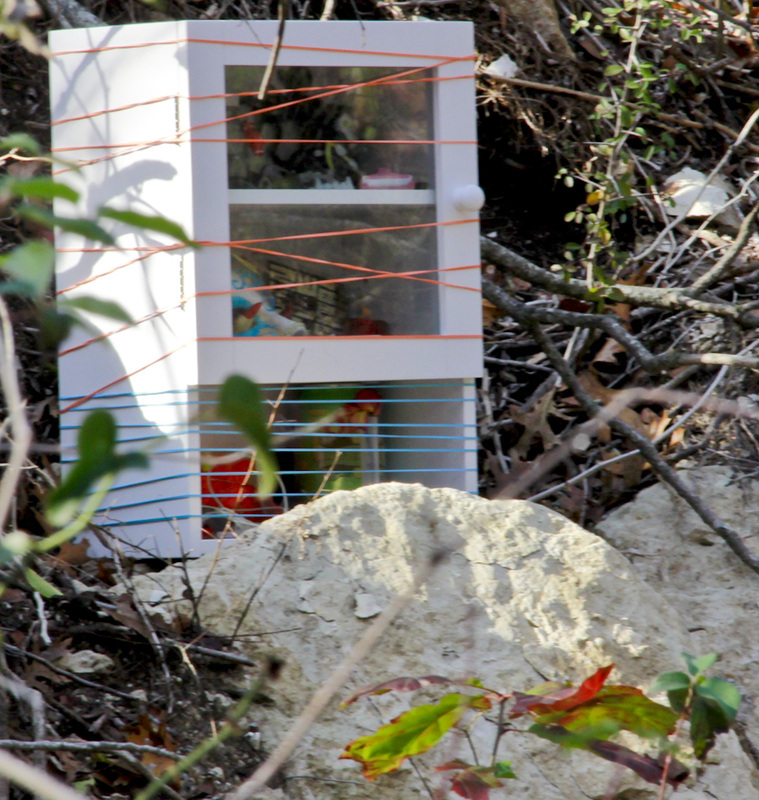 The small cabined is bound by colorful rubber bands and abandoned in the woods.